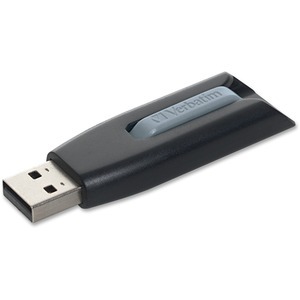 Store 'n' Go V3 USB Drive is a world-class storage solution for those looking to save and transfer data faster. The USB 3.0 interface offers data-transfer speeds 10 times faster than USB 2.0, making it easy to transfer multiple files at once or larger files without error. The retractable design with a colorful slide shields USB connector in transit and keeps data protected without the worry of losing a cap. USB drive also offers a 64GB memory capacity.